Apart from the pumpkin harvests, fall festivals, campfires and ghouls that come to mind when you think of October, another thing you should add to that list is National Physical Therapy Month. It’s an opportunity to learn how physical therapy can help you or your loved one(s) restore maximum functional independence. Physical therapy is a health care specialty that helps people of all ages prevent, minimize or eliminate problems with physical movement, such as limitations to activity and participation in everyday tasks. It focuses on strengthening large muscle groups to help one remain as independent as possible by addressing the patient’s range of motion, strength, endurance and mobility. It also helps alleviate pain and restore mobility after surgery, reducing the need for additional surgeries or long-term prescription medications. It can help people live better with conditions such as spinal stenosis, arthritis or Parkinson’s disease, and it also helps children live more easily with chronic health conditions, such as cerebral palsy. Physical therapists are specialized health care professionals who teach their patients how to prevent or manage their conditions. They take time to examine each patient individually and develop a plan for rehabilitation by listening to the patient, as well as his or her family. Once a plan of rehabilitation is established, the therapist’s goal is to reduce pain, restore or improve movement, prevent disability and promote maximum level of independence for the patient. 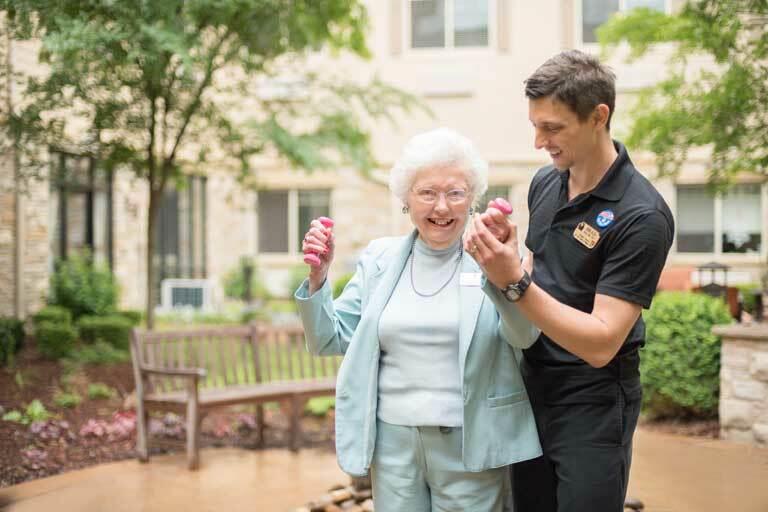 Physical therapists not only work in hospitals and skilled nursing facilities, but in a variety of settings, including schools, sports and fitness facilities and home health agencies. Injuries are the most common need for physical therapy, but the natural aging process or illness can also impair one’s ability to participate in daily life and create a need for physical therapy. People with long-term health conditions, such as arthritis or chronic obstructive pulmonary disease (COPD), may benefit from physical therapy. Physical therapy is also an effective alternative to powerful medications that can cause memory loss or fatigue. Once a treatment plan has been established, physical therapy sessions typically last one hour per day every three to seven days, depending on the patient’s need and therapy goals. The therapist will begin with trying to reduce pain and swelling by using a variety of techniques, including massage to increase circulation, cold and ice to reduce pain and swelling and heat to help the muscles relax and heal. Then, the therapist will move on to more advanced exercises that are specifically designed to treat the patient’s condition. These exercises may include mobility training, manual therapy and other techniques, such as ultrasound therapy and electrical stimulation. Physical therapy can be discontinued once a patient has met his or her recovery goals or has reached a maximum level of independence. In most cases, physical therapists will teach the patient basic exercises that can be done at home to maintain progress. Ultimately, the goal of physical therapy is to help people restore or maintain their maximum level of independence despite their health condition by strengthening their muscles, improving flexibility and helping manage pain.